Welcome back! 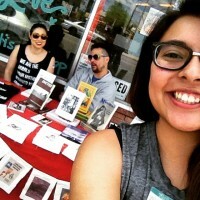 This week, we continue the conversation in the Southwest, getting to know more of the amazing writers and poets who shared their work at the ABQ Fundraiser! (We just can’t get enough of their awesomeness.) 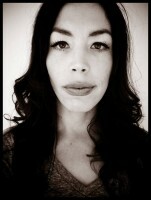 Today, we meet Beata Tsosie-Peña, a passionate and determined activist / mentor / artist / writer in New Mexico. Check her out! Third Woman Press Collective (TWPC): Hi there, Beata! Thanks for making time for us. Can we start with your geographic location? 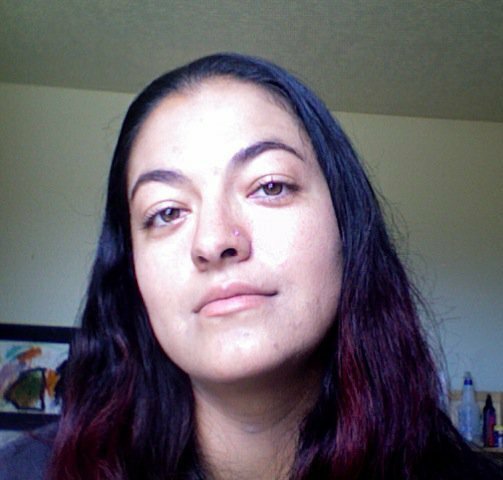 Beata Tsosie-Peña (BTP): I live in Santa Clara Pueblo, NM. TWPC: How do you define your feminism? BTP: I define feminism as part of my morals and values of working to end all forms of violence against women and girls, including environmental violence; as trying to maintain a healthy balance of male and female energies in my life. I respect and honor the roles that males and females play culturally in Pueblo life, and expect the reciprocity of having both of those roles valued equally within our culture. I acknowledge and love the male and female within myself, and the dualities that exist within natural law. Being a mother, I need to also work to “unlearn” internalizations of a postcolonial world, continue healing, and continue learning what needs to be passed on from my elders. I really try my best to model a self-love that is foundational for my children to recognize within themselves, especially in situations where they are being made to feel “less than” or are in possible danger under the culture of violence that exists today. I need to teach my son what it means to respect and honor women and how to honor his feminine/emotional side. TWPC: Beautifully said. Healing and achieving personal growth are big parts of moving past the oppressive forces felt daily by marginalized peoples, especially Indigenous women and women of color. What kinds of things keep you busy? BTP: I am currently raising three kids, ages 14, 10 and almost 2, alongside my partner of 18 years. My son is keeping me busy the most! I currently work part-time for Tewa Women United’s Environmental Health and Justice program. Our environmental health and justice program, one of the five programs we offer, works to address and advocate against contamination around the nuclear weapons production happening in our ancestral homelands on the Jemez Plateau. Our EJ program is involved with the Communities for Clean Water Coalition, Las Mujeres Hablan, and the Food and Seed Sovereignty Alliance. To balance that hard, slow work, we also strive to create community gardens and save heirloom seeds. I also have been involved the past three years (the last two as Chairperson) with a grassroots community project called, Breath of My Heart Birthplace, which is working towards building a birth center in Española and increasing home/birth center options and midwifery care to help reclaim our traditional birthing knowledge. 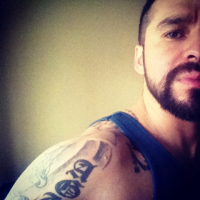 I am also serving as Chair for Honor Our Pueblo Existence (H.O.P.E.) which is doing some exciting cultural preservation work in addition to addressing nuclear contamination. 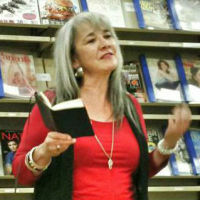 I also write, teach, and perform poetry. I’m currently working to reclaim my traditional pre-contact Native food culture and Tewa language, so cooking traditionally and working to learn my language can take a lot of time and prep. TWPC: We love how active and engaged you are! Those all sound like amazing organizations and programs you’re a part of. As someone already so involved in the community, what influenced your decision to help fundraise for Third Woman Press? 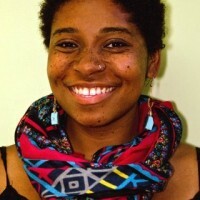 BTP: Myrriah Gomez asked me, and I agreed out of respect for her work and intentions for TWP to move forward. I also was interested in learning more about Third Women Press, and am always down to participate in poetry happenings for a good cause. TWPC: And we thank you for reading some of your work at the Albuquerque event! What was your favorite detail, performance, interaction, etc., from the fundraiser you participated in? BTP: Hearing the strong and inspirational voices of fellow women poets, spending time in Albuquerque, and sitting next to Cathy (one of the phenomenal poets) and Gina’s adorable little baby, (who, btw I was impressed with how well he regulated himself in such a boisterous scene). TWPC: We’re happy you were able to enjoy the time spent with good company and a positive atmosphere! What tips do you have for emerging feminist artists? BTP: I would say to make your art a priority, and be mindful when it gets put on the backburner because the world too often expects women to give of themselves all the time — leaving very little room for our passions and joys. Be fearless. Be honest and put as much positive energy out there as possible; art is intention is prayer, and as artists I think it’s important to be conscious of what we want to put out into the world. Share your work, and be a mentor to other young women. I would not be where I am or doing the work I do if it weren’t for mentorship opportunities I’ve had with women experts/leaders. Having a supportive family is vital. TWPC: Always remember where you started, and try to mentor when possible. We love that, it’s great advice. Women artists especially need to guide and support each other. Is there any specific area, field, or place that you feel really needs a feminist intervention right now? BTP: Yes, we need intervention in stopping the violence against Mother Earth, against each other, against children, and against Indigenous Peoples globally. Our seeds need protecting from genetic modification, and we need to help our youth reconnect with land and reclaim our relationships to the natural world. We need to preserve and rebuild a culture of peace. I also think its worthwhile to put as much of our energy into our homes and communities and strengthen the work happening or that needs to happen there first and foremost. 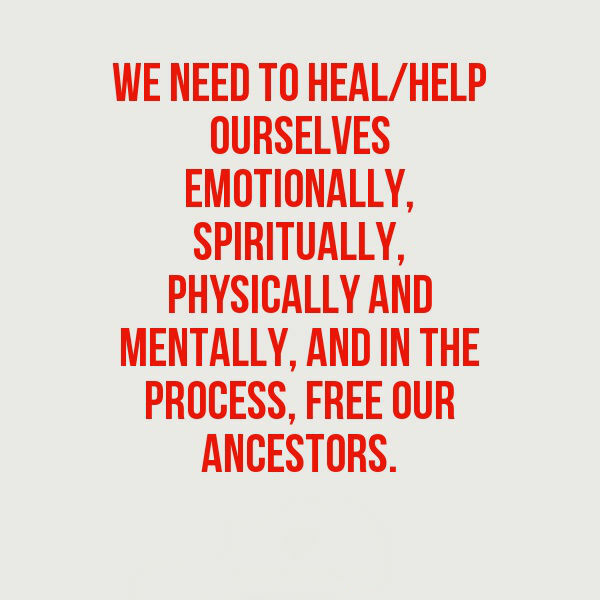 Right now, we need to heal/help ourselves emotionally, spiritually, physically and mentally, and in the process, free our ancestors. It’s like a two-for-one deal. TWPC: It all starts within! The future starts now, with ourselves. We like that. What do you like to do for fun? BTP: I have dabbled as a bass player (went on hiatus to have my son) in the punk rock band, Reference Man. I write, have one or more gardens every year, hike, and read a lot. I enjoy live music, dancing (and mosh pits) and Internet surfing (yes, I play mindless games!). I enjoy contemplating the space between stars and observing the natural world around me. I also enjoy cooking for, and spending time with, my family and others when time allows! TWPC: Awesome! Beata, you rock. We’re happy you’re finding time for yourself and the things you enjoy. Since you helped TWP raise money, what is one thing that excited you about the revitalization or what would you like to see TWP do overall? BTP: I am excited for their work to continue and be revitalized and fully realized. I know there are so many stories that need telling. Reading works by women writers growing up saved my life in so many ways. That legacy needs to continue on for sure. I would like them to continue their support of women’s endeavors, in the sharing of stories, and support up-and-coming writers and artists. It would also be great if they contributed to creative literacy education with youth. TWPC: As long as there are stories and words to share (especially by Indigenous women and women of color), we’ll do our best to find ways of making them accessible and honored! Thanks again, Beata. We send much love and many thanks to Beata! The future is bright because of women like you! For more information on the work Beata does with Tewa Women United, check out their website or facebook. Stay tuned as we continue to feature the amazing people who have helped contribute to the revitalization of Third Woman Press!